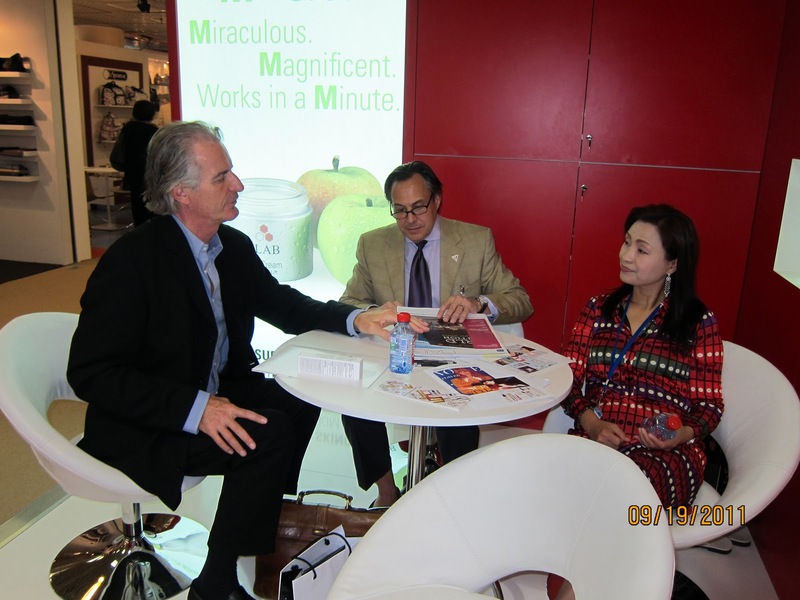 3LAB enjoyed a successful tip to this year’s TFWA, the world’s largest duty free and travel association. 3LAB showcased the company’s superior, luxury skin care line and introduced three new products, PERFECT LIPS, Super Eye Treatment, and PERFECT BB SPF40 with great reception. The event, held in Cannes from September 18th -23rd strives to “Enable and empower the Duty Free and Travel Industry by producing the opportunities and tools for brand and market growth”. This annual exhibition provided members with a week full of informative conference, workshops, and networking opportunities. Established in 1984, TFWA plays a vital role in connecting luxury and premium product suppliers, buyers, airports, distributors, and operators around the globe. More than 5,300 visitors from over 140 countries attended the event last year with over 450 exhibiting companies including many of the top luxury brands in the world like Hermes, Chanel, and Ferragamo among many others. Over the course of the week, 3LAB to meet with new distributors , retailers and press to discuss possible 3LAB ventures. The exposure at this year’s TFWA World Exhibition is sure to expand the 3LAB brand globally and open new doors for future projects.